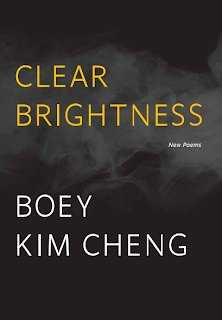 Boey Kim Cheng is a Singapore-born and Australia-based poet. On 8 November 2012, at the invitation of Professor Shirley Geok-lin Lim – an accomplished poet, writer and lecturer herself – Mr Boey came down to the USP to give a talk on the nature of writing. I was taken by the perspectives and stories that Mr Boey shared. The temptation to write the below transcript, despite the looming tests and project deadlines, was monumental and I caved in. Thank you, Mr Boey, for looking through this transcript and agreeing to share such gems of experience with us. After these long years of writing and not writing, I’ve come to realise that every attempt is a new kind of failure, a new kind of beginning. To paraphrase Eliot, once we accept that we’re all beginners trying to make sense of our experiences by attempting to write, writing becomes much more rewarding. Writing should be a kind of exploration. The first word, the first phrase is a step into the unknown, the beginning of a journey. The rest of the poem is about discovering where to go from there, finding out the clues as you go along, understanding what the poem is trying to tell you. And the last line should lead to this unexpected place and insight that surprises us with a sense of joy, of something achieved or attained. As Robert Frost says, “no surprise in the reader, no surprise in the writer.” There must be a sense of discovery of something new, or recovery of something lost or missed earlier. In the course of writing you should ideally experience a change in perception, a way of seeing that suddenly reveals itself to you. We write because we don’t know. It’s a way to frame questions, and often it is more important to ask questions than to seek answers. As Rilke comments, “live the questions,” and poetry helps us do that. It helps us find a way through and into ourselves. How can we write poems? It is good to work with traditional forms – villanelles and sestinas. Perhaps even just stanzas with regular lines. Robert Frost once said that writing free verse is like playing tennis without a net. Free verse can be more challenging for the poet is trying out a formula that has never been tested before, improvising in an empty space and trying to find new forms, new shapes. Remember that a poem is never just an abstract thing on the page. Explore different forms to see how they can better translate the initial triggering idea or image. 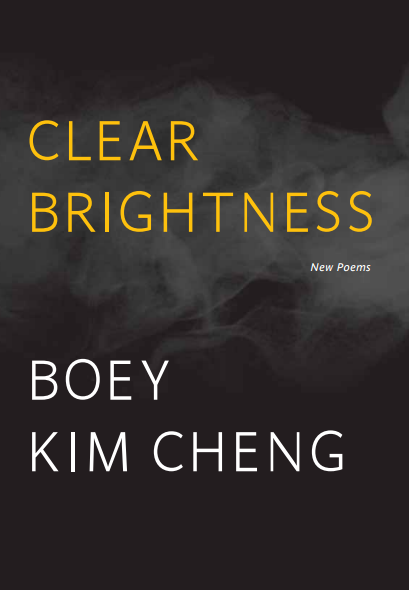 The best poems embody this process, this quest for realising the intangible. When you’re writing, remind yourself that you’re working with something that has a body, that is alive, breathing. Think of how best to load each line with richness to the core, how to touch that body into song. Show but don’t tell. Avoid vague images – use words that conjure vivid pictures. Clarity, precision and economy of language – keep these in mind as you revise. Be open to possibilities. Remember to think outside the box. There are prose or narrative tricks equally applicable and effective in poetry. If you’re writing a dramatic monologue, consider writing it from different perspectives. Would the third or first person perspective be more effective in rendering the voice or the subject? If you’re writing from the perspectives of a creature – be it as sparrows or as plants – allow your imagination and memories to take over. Don’t just describe and observe. Take your metaphors further. Williams Carlos Williams, as a tribute to his father, once wrote a poem that compares him to a sparrow. Always allow your poems to be more than the initial idea you started out with, let it develop, grow, deepen. Often, I’ve to remind my students that while poems have short lines, sometimes there is a need to relax the lines. To stretch them on the surface like how we would stretch the la-mian noodles and layer its meanings. It’s about widening our focus and allowing us to be open to different possibilities. How do we improve as poets? There’s no avoiding reading. Pick the good guides, the writers who have taken a lot of care, a lot of trouble, who have thought long and hard about the words and what’s behind them. Writers who have learned the trade, to use Yeats’s words. Read not just extensively but also intensively and with focus. Read wisely, with a sense of mission. There’s so much being published nowadays and a lot of it reveals that the writers are in a rush. A good writer must take his time to learn the craft well. It’s plain hard work. Not just the craft, but also what Heaney calls technique, which is something much harder to acquire than craft. It involves deep learning, a way of seeing, of connecting with the deepest impulses that make you want to write. Read “To Autumn” by John Keats. It has such fullness. It’s one of those poems that changed the way I thought about life and art, something I have read again and again. There’s so much reach in terms of craft, as well as techniques. I was very fortunate to discover Keats when I was young, and he has been a reliable friend ever since. Poets like Gerard Manley Hopkins and Seamus Heaney are good guides – they are masters at loading every rift of the line with ore, to quote Keats. Load each line with as much texture as possible, seeing each word as a door into the unknown, each image as a threshold into something new. Look at existing things with fresh eyes. Make it new, as Pound says. Remake the old and the known. The poet’s job, if you can call it a ‘job’, is to make us see. Listen to the music of the poem, feel its pulse, there must be some deep music moving, driving the poem, else it would be dead on the page, unable to bridge the gap between you and your readers. Else, they’d merely be words on paper, inert or dead. The mark of maturity as a writer is to accept the fact that the first draft is not perfect. To allow the first draft not to be perfect. Writing is about re-writing and revising. The Latin word for revise is “revisere”, which means to go back and see. So revisit your poems. Try to go deeper with it; travel a bit longer, a bit further. Work on the shape, hone the music, make the flows flow, ensure there is a tensile thread, a deep breath running through them. There’s nothing that can compare with the joy as things start to come together. That’s why writers write. That’s why real writers write. Not because they want to be published. Not because they want to put out books or to win prizes. For me, a middle-aged emigrant writer, writing has become about the way we relate to time. It’s not just memory, how we move in time and remember or not remember. It’s also about the fundamental levels of metre, rhythm and cadence, and how the poem embodies time. The lines, the imagery and the body of the poem slow time such that we learn to pay attention. In a way, poetry is against what that’s construed as normal. It slows down the relentless pace of living. It allows us to inhabit a slower space, or even to step outside time, albeit fleetingly. Salman Rushdie says that migrants often have to imagine or discover a homeland that they can belong to. This imaginary homeland is cobbled together from the experiences of their adopted country and memories of the place they left. It is an in-between place, where the migrant writer can reinvent him or herself, and experience perhaps rebirth or homecoming. The act of remembering is not just about remembering but also about forgetting. Walter Benjamin calls this the Penelope work of forgetting. In Homer’s “Odyssey”, Penelope is the faithful wife of Odysseus, who keeps her suitors at bay in his long absence. She promises that she’d marry one of her suitors when she completes a tapestry. Each morning, she is at the loom, weaving and, at night, she unravels the knots and stitches. Like Penelope, migrant writers are caught in a flux. They write what they remember but also what they mis-remember or have forgotten. Between Stations and Clear Brightness do not provide perfect recalls; they are flawed remembrances, but perhaps it is the cracks, the flaws that I can glimpse myself and the country I have loved and lost more clearly. In this way, poetry is about gleaning. We’re all scavengers searching through our archives of memory. There’re always certain things that keep us searching, something strange that keeps us looking, the clues that lead us line by line, poem by poem, to something that will perhaps, in the end, save us.